A portable electronic device that automatically diagnoses the potentially life threatening cardiac arrhythmias of ventricular fibrillation and ventricular tachycardia in a patient, and is able to treat them by application of electrical therapy which stops the arrhythmia, allowing the heart to re-establish an effective rhythm. The use of an AEDs can mean the difference between life and death. Our AED Program is a component in our First Aid, First Responder and Basic Life Support (BLS) level CPR classes. 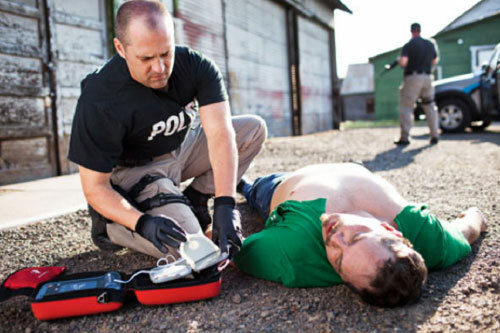 AEDs are designed to be simple to use for the layman. We’ll instruct you on when to use an AED and the proper techniques to restore a normal heart rhythm with an AED. Simply CPR offers a range of AED machines for sale to the public. 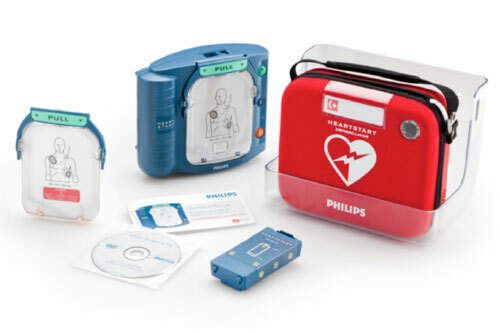 If you feel you would like to have one for home use or if you’re interested in an AED System for your business please contact us at shannon@simplycpr.com or call us directly for information on equipping you with these life-saving devices.